Dafont update, revamps and beyond! 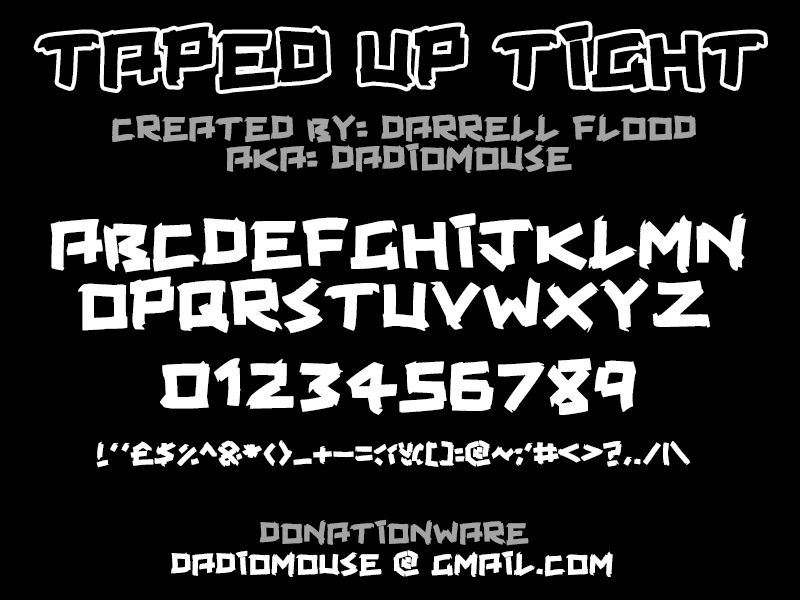 Additonally, I finalized the “hollow” version of the “Taped Up Tight” font. All characters are now available in “hollow” form. Just switch between “regular” & “bold” to choose the solid or hollow versions. 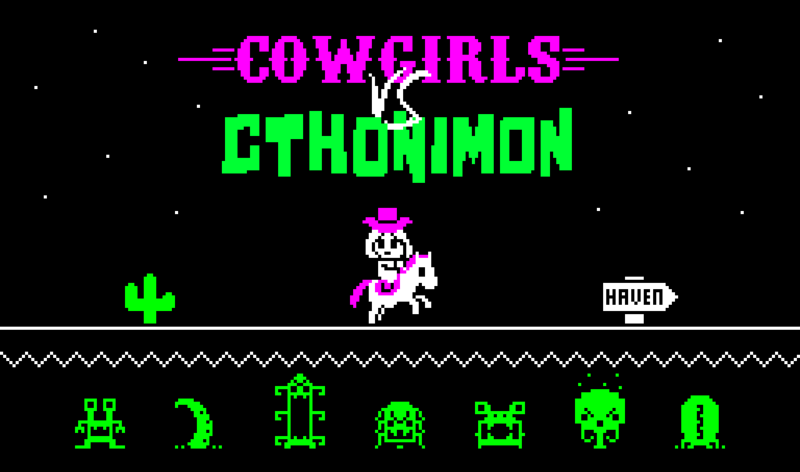 Beyond that, expect a big refocus now away from fonts and on to my big Kickstarter project: Cowgirls Vs Cthonimon! I plan to have the Kickstarter live throughout January, so now it’s time to really burn the midnight oil! Check back here often for updates! 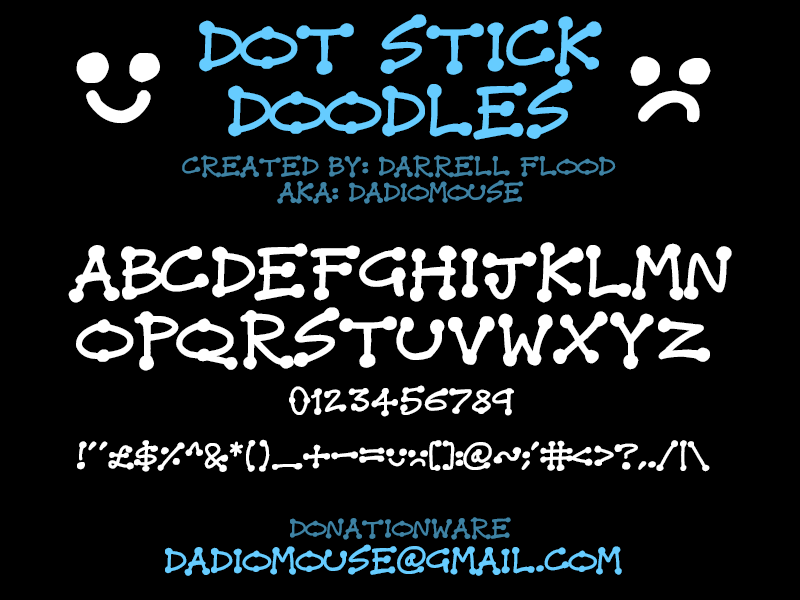 Deep into the caves of forgotten worlds we go, hunting otherworldly horrors and seeking fame and fortune!…..
A tall, thin, cartoony font this time. 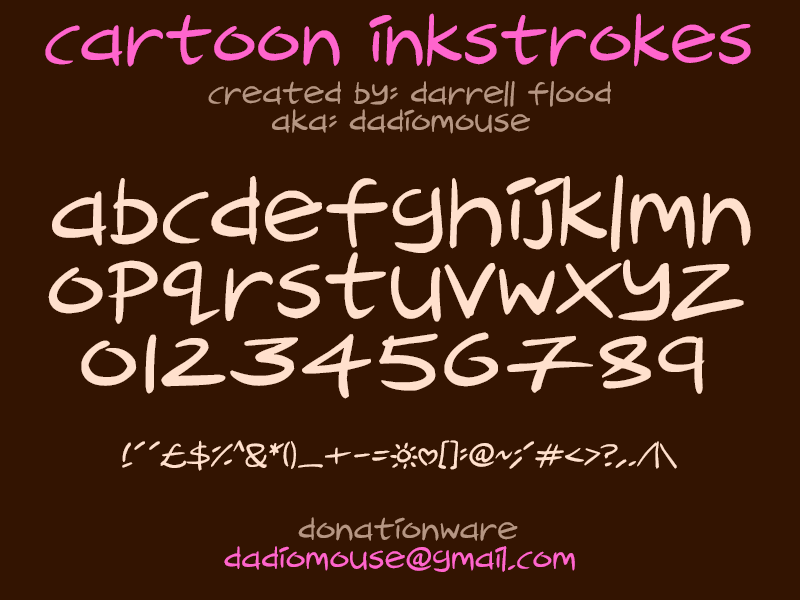 I just wanted to create something simple that could be used for pretty much anything, as I feel a lot of my fonts are perhaps a bit too nichey. I went for a stitched material look for the sample image, using calm green tones. I went for a graphic-novel-ish look this time. 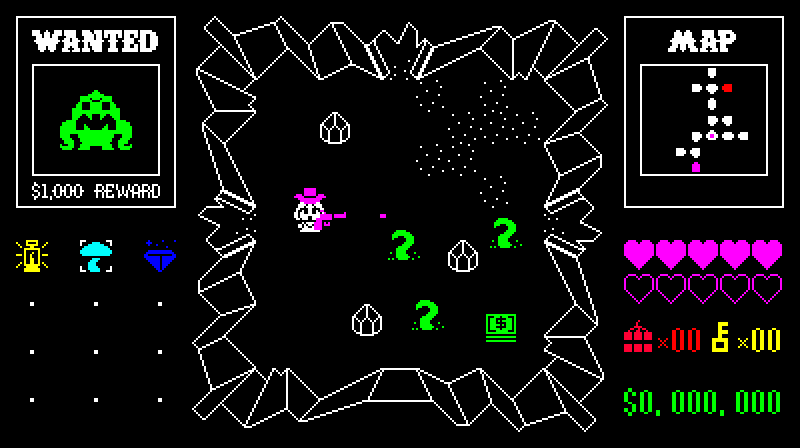 Somewhat inspired by Sin City’s visuals – with it’s hard solid whites against pitch black (& those glowing white bandages!) The letters could be read as bandages or tape or even wooden panels at a stretch. Another one that looks nice being outlined, so expect a follow up version that does exactly that. Another “outline” font today. 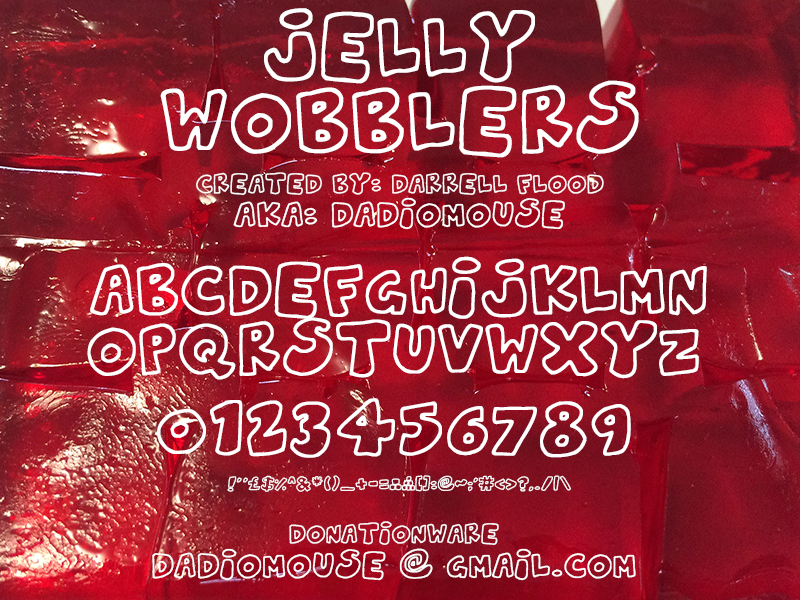 This one is meant to look like those letters you get in tins of alphabet soup. I decided to roll with the soup idea for the sample image, borrowing colors from Campbell’s soup tins in a nod to Warhol. 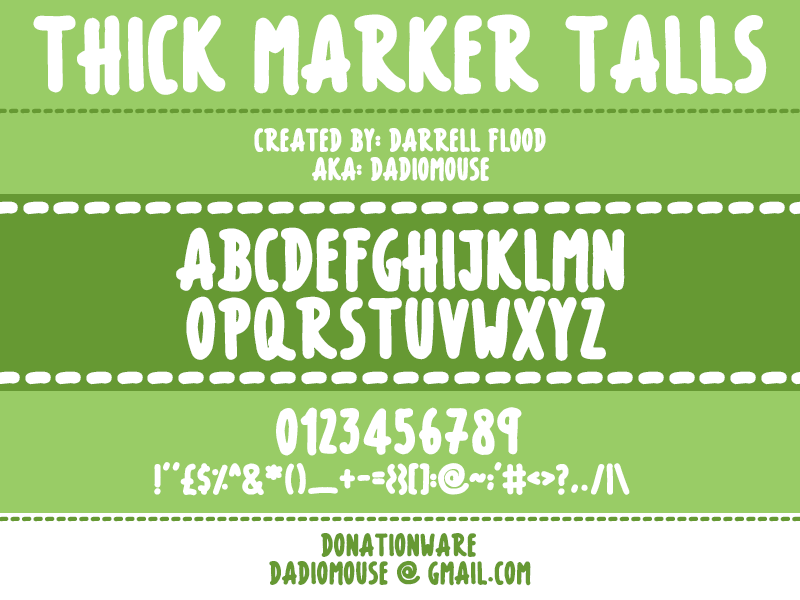 Another hand-drawn font here. I went for a loose, “notepad doodle” look this time. Could be useful for school related products. 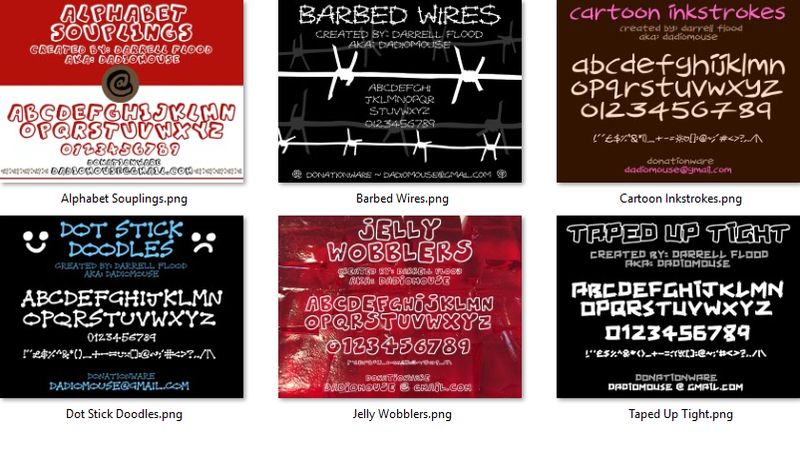 Kept the sample image plain & simple to make the characters pop against that solid black. Light, fast strokes used to create cute, child-like characters. All lower-case. 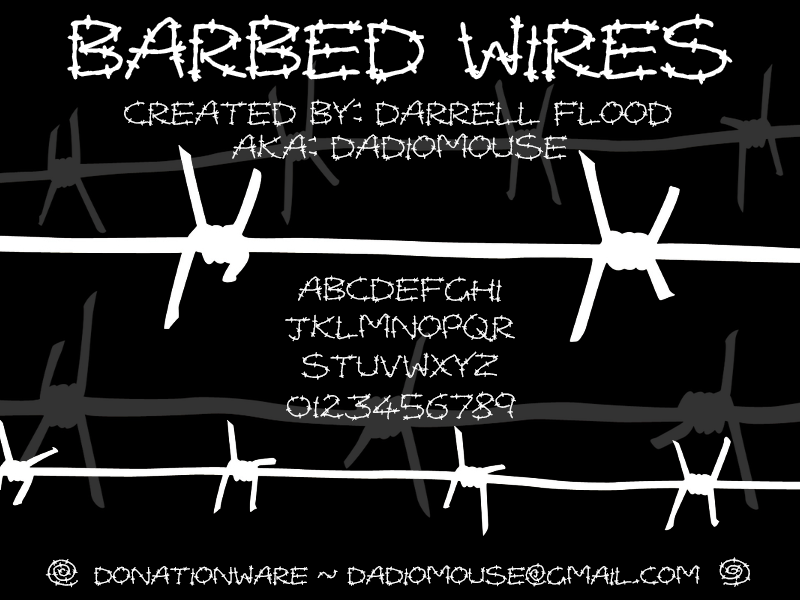 I quite like how this handwritten font turned out. I’ll likely follow this up at some point with an “outline/hollow” version, as the characters lend themselves well to being outlined. Hand-drawn “outline” fonts seem to be quite popular across all font sites, I guess because they can be so easily widely applied to almost any kid’s toy/book/promo image. I had been meaning to try my hand at one for some time. I went for a very cutesy, wobbly style. Here’s the result!